76 cc Engine; runs on MIXED fuel. 32" bar; Hand guard with chain brake; auto oiler. **** $30.00 fee to replace chain. 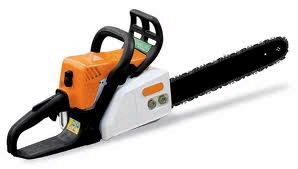 * Please call us for any questions on our chainsaw gas 32 inch bar rentals in Tualatin and Eugene, serving the Portland Metro area, Eugene/Springfield Metro area, Oregon, and SW Washington.